First, let’s get the new acronym out of the way. 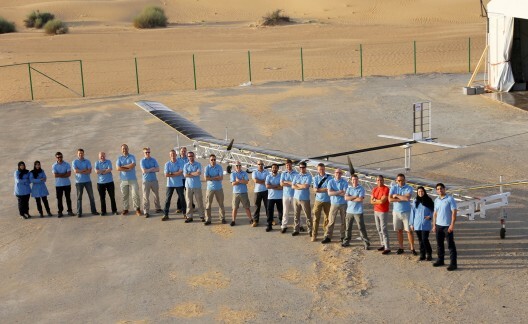 The solar-powered flyer recently setting records in Dubai is part of the Airbus High Altitude Pseudo-Satellite (HAPS) program. One headline led off with “What’s the HAPS?” leaving your editor saddened by not having thought of it first. Such craft were previously referred to as HALEs (High Altitude Long Endurance) platforms. It’s also part of the Emirates Institution for Advanced Science and Technology (EIAST), a kind of Middle-Eastern STEM program promoting technological advancement and sustainable development in Dubai and the United Arab Emirates (UAE). 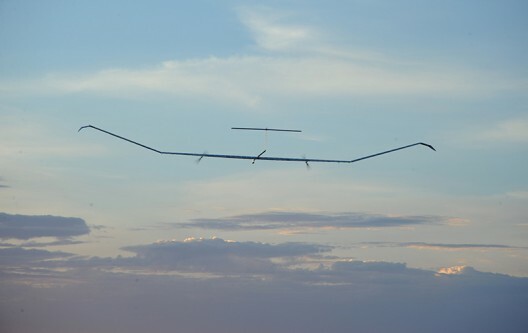 The airplane set three world records in 2010, flying over the desert Southwest in America as part of Qinetiq’s development program. It managed 336 hours 22 minutes and 8 seconds then, but has added a record 61,696 feet altitude to its accomplishments during a 23 hour, 47 minute flight over Dubai, the highest flight so far in the UAE. This complex organization coordinated operations with Dubai’s civil and military authorities, managing to loft the 22.5-meter (70-foot) span, 50 kilogram (110 pound) craft into airspace well above civilian flights. It also marked winter-time operation of the large vehicle, with shorter days to illuminate solar cells and recharge batteries. The fact that flight could continue through the night highlights the efficiency and capabilities of these systems. The HAPS device carried a full-HD video system with a 30X zoom lens capable of resolving objects as small as 10 centimeters (4 inches) depending on altitude. In future, the EIAST/Airbus team will test thermal imaging, environmental monitoring, emergency services supports, the creation of temporary communications networks and the enhancement of navigation systems. 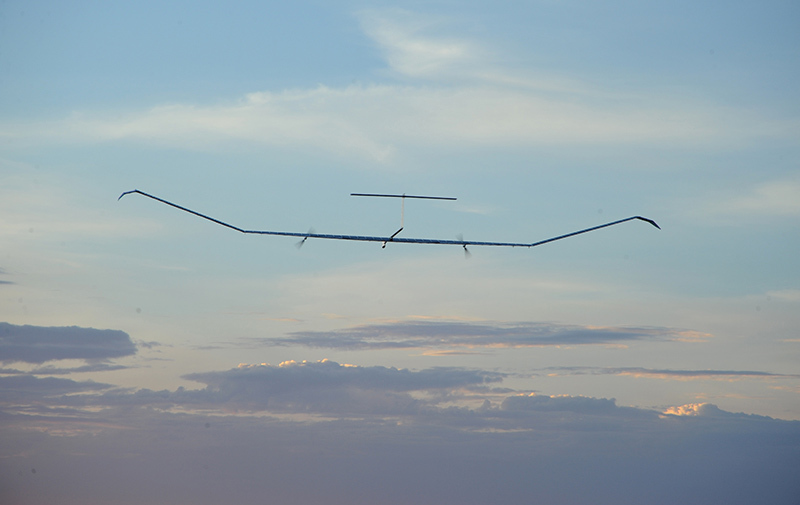 This most recent flight allowed over 250 hours of flight testing of the Zephyr 7 prototype, which will now be used to refine the final design of Zephyr 8, the next-generation HAPS vehicle currently being developed by Airbus.